The waste disposer can handle any non-metallic, non- plastic organic kitchen food waste like vegetable peels, chai-patties (tea leaves), fruit wastes, fish, chicken, meat, bones, etc., very easily and quickly (in 30 seconds to 1 minute). The kitchen waste should not contain any metallic or plastic materials. The waste disposer cannot handle inorganic waste like cloth, rags, paper, acids, chemicals, etc. 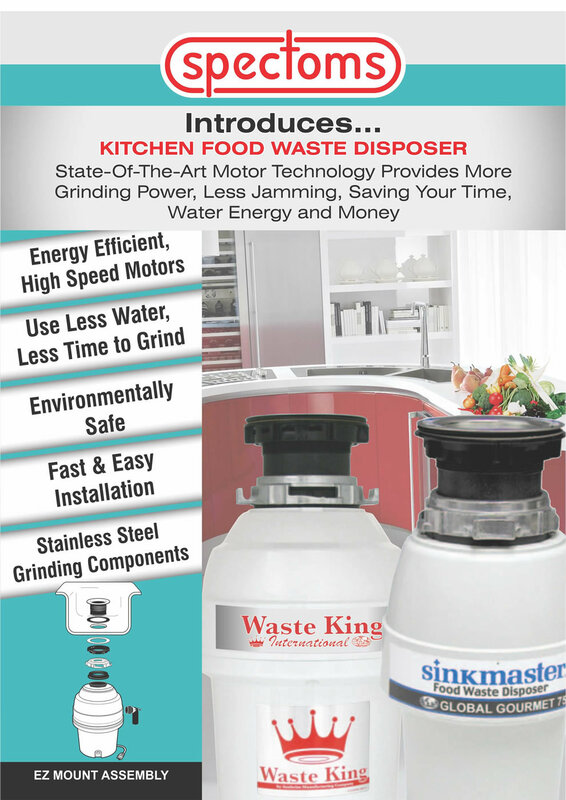 The waste disposer grinds and disposes the waste very fast (maximum 60 seconds). It uses less electrical energy and saves water. Since it uses less energy and finishes the job faster, it saves electricity. It consumes less electricity than a 100-Watt light bulb switched on for 30 minutes. 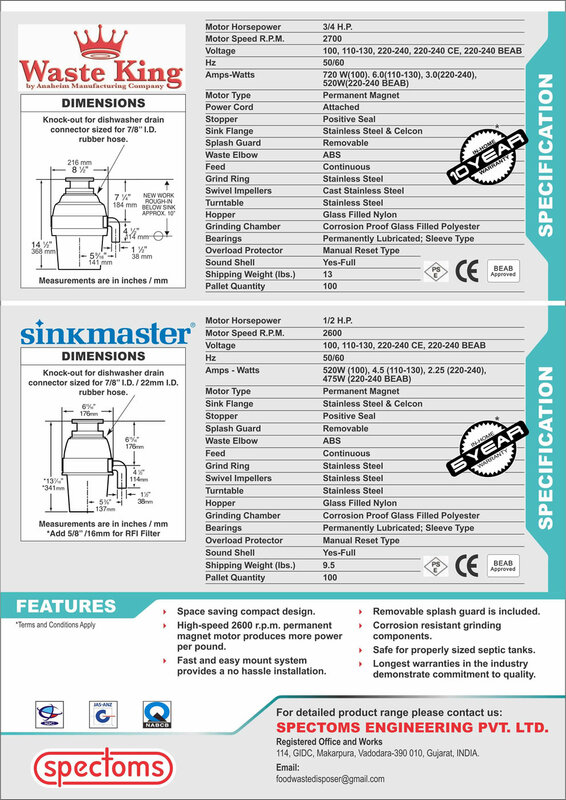 Big relief from jammed sinks; the waste disposer never gets clogged. A convenient way to dispose the kitchen waste. You no longer have to manually handle wet waste. No regular service or maintenance or cleaning required if properly used and operated as per instructions. Easy (EZ) mount assembly. We will install it for you within 30 minutes. Power: 230V AC. No transformer required. For further details and LIVE DEMONSTRATION, please ring 0265-2642441 or 9537524744.